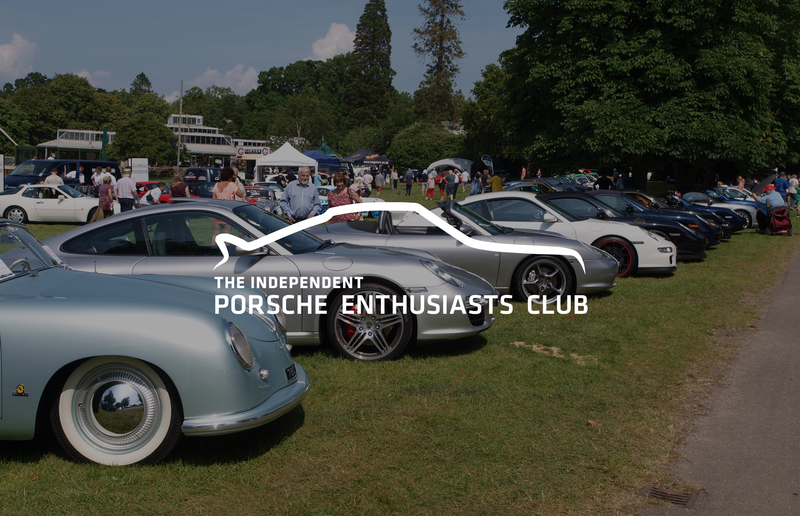 The Independent Porsche Enthusiasts Club (TIPEC), is a club that Ferdinand Porsche would have approved of. Ferdinand was a brilliant and innovative engineer whose passion drove him to develop a practical, inexpensive and long-lived sports car. Right from the original Porsche 356, perfection was in his mind, elitism was not. It is on this basis that TIPEC was formed – to promote good fellowship among all Porsche owners, by sharing knowledge and making ownership affordable. Sean, tell us more about the Porsche Enthusiasts Club? The club was founded in 1993 and we celebrated our 25th anniversary in 2018. The club is entirely independent, not for profit and managed by enthusiasts, for enthusiasts. We welcome anyone who has a Porsche or is enthusiastic about the Marque. As well as supporting our nominated charity, Chestnut Tree House Children’s Hospice, our aim is to help further members’ enjoyment and interest in their Porsche, no matter which model. We cover all models that wear the Porsche badge, from an early classic to the latest model off the production line. We welcome the SUV’s and owners of replicas too. We have a rolling membership of around 1,500. We have 21 regions around the UK – they each organise a monthly meet and a variety of events throughout the year for the membership. Tell us a bit about the team who manage the club? Well, we have Committee of six who manage the club and each of the twenty-one regions has an Organiser and Assistant. We are really active on social media too and our Facebook Pages are moderated by the Regional Team supported by our Media Director. What about the club magazine? Our club magazine is called All Torque, it’s a bi-monthly publication. Articles are supplied by members and cover a wide range of topics – from road trips to technical articles, as well as events that have been attended all over the world not just in the UK. CL: We really enjoy reading All Torque every other month! How about you Sean, how long have you been involved? Well, I joined in 2004 and became Chairman in 2005. I am very lucky to own a 964 C2, a 996 4S cabriolet and a 911 Speedster which was my first Porsche and I have owned her for over 18 years. I have a run out model, the last to leave the old Stuttgart factory, built as an homage to the 50’s classic and to drive sales in a flagging American market. My dream Porsche would be a 356 Speedster, the ultimate ‘cruising on a Sunday afternoon cabriolet’. CL: Great choice! As well as discounted insurance with ClassicLine, tell us about some of other benefits that club members receive? We have a very good relationship with the dealer network, the majority giving discounts to members of the club. We also have a very good technical forum, lots of advice on mechanical issues as well as where to source parts. Have TIPEC received any awards or accolades? We have won lots of awards at car shows across the country, for the quality and variety of the cars on our display. We are always really pleased when we see a member’s car featured at the NEC Classic Car Show too, for example in the Meguiars Showcase. Well, we used to organise our own show, until 2013 when costs became prohibitive. From here, we decided to concentrate on supporting Simply Porsche at Beaulieu and work with their team on the event. CL: We look forward to this event every year! There is always lots of planning and looking at how we make the following year better. We try to keep things simple, but the challenging part is always the manpower required on the day. You can find out more about Simply Porsche and regional TIPEC events here. For you, what is the best bit about the event? It’s always about getting people together, the opportunity to meet members and owners from different parts of the country. Any special or funny moments over the years? 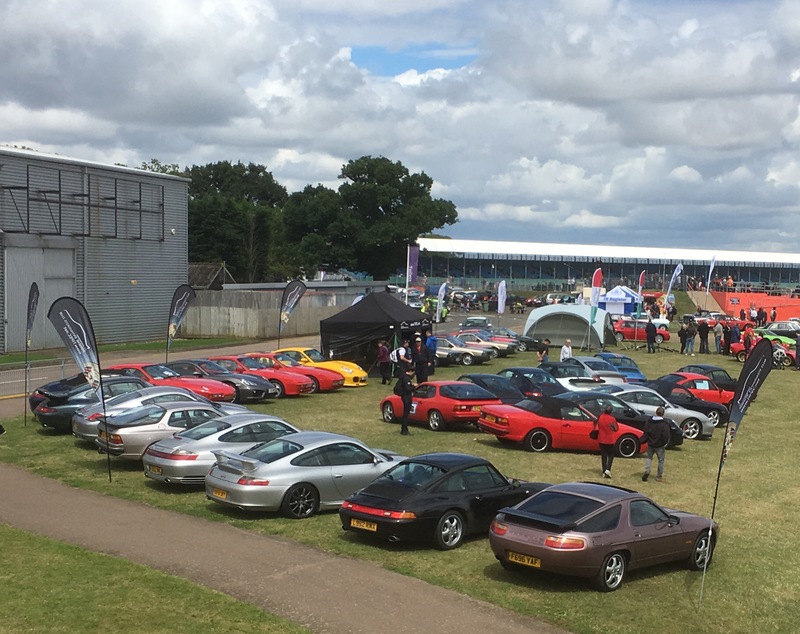 Simply Porsche had over 1,600 Porsches attend in 2018 which was fantastic! Another favourite moment is when the owner of a 924 and a brand new 997 GT3RS, parked next to each other. Both checked the gap between the cars and then proceeded to chat and look at each other’s car. This is what our club is all about! What other events does the club attend during the year? Lots! Silverstone Classic, NEC Classic Car Show, Donnington Historic, Bicester Heritage Sunday Scramble to name just a few! Sean, in relation to TIPEC, what do you feel most proud of? Our relaxed informal non corporate style – it’s people that make a car club, not the car you drive. So, these are the people behind one of our favourite clubs. Working hard behind the scenes and trying to do as much as they can for others. TIPEC, thank you for being our car club of the month. ClassicLine Insurance offer a range of car club insurance schemes that can provide revenue for your club as well as benefits and discounts for your members. To find out more about this and our specialist club liability insurance, visit our car clubs page.